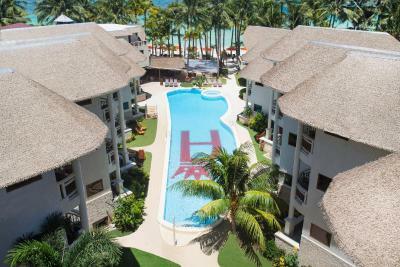 Lock in a great price for Ambassador In Paradise – rated 8.4 by recent guests! The stuff was great..they do take good care of you.. keep it up ambassador..
Me and my family like everything about the resort. The view is awesome, the place is clean and well-kept. Family-friendly, great food and great customer service. I highly recommend. 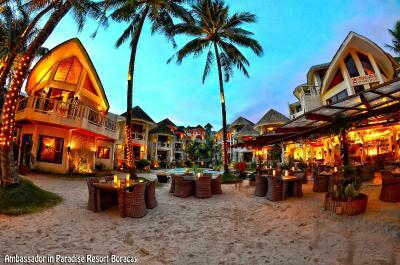 We will come back to this resort in the future for sure! The breakfast was pretty good! 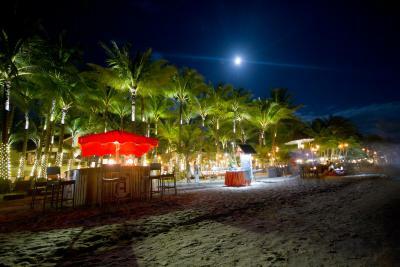 I like the setup of the tables outside at the beachside. The omelets & eggs to order were quite tasty & the employees always were friendly and had a smile on their faces. From the hotel pickup to the welcome tea, the staff were excellent, kind, and efficient. The breakfast was nice and provided a variety of options. 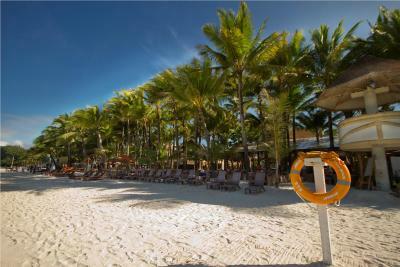 The beach out front is pristine. The room was nice, we had a family suite. Wish there was more of a sitting area for the family, but we improvised with the patio furniture to make it work. Loved the live music at the restaurant in the evenings, I'm not sure if it's a regular thing or only during the holidays, but it was really pleasant. 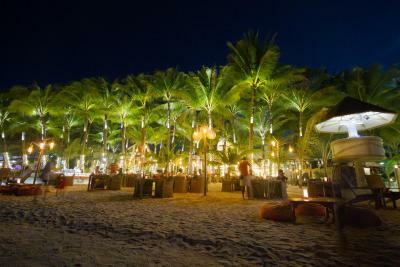 Friendly staff, very nice beach , good swimming pool, and cool Xms eve dinner. Breakfast menu is great. But i suggest to serve pancakes too. Ambassador In Paradise This rating is a reflection of how the property compares to the industry standard when it comes to price, facilities and services available. It's based on a self-evaluation by the property. Use this rating to help choose your stay! 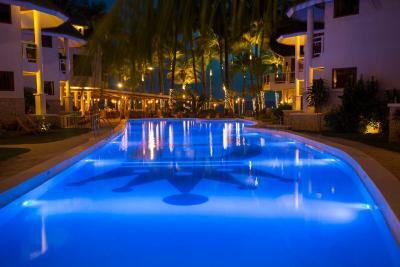 One of our top picks in Boracay.Set in the island of Boracay, along the shores of Station 1, Ambassador In Paradise is a 5-star property featuring an outdoor swimming pool with beach views, a restaurant on-site, and free WiFi throughout the property. 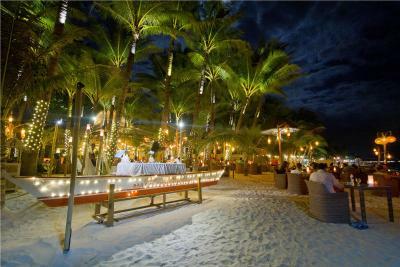 The resort is within 0.9 mi from D'Mall and 3.7 mi from Puka Shell Beach. 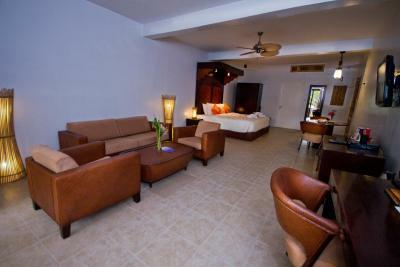 All rooms at the Ambassador In Paradise are fitted with air conditioning, a flat-screen cable TV, and a seating area. Other in-room amenities include a mini-bar, a refrigerator, and a safety deposit box. 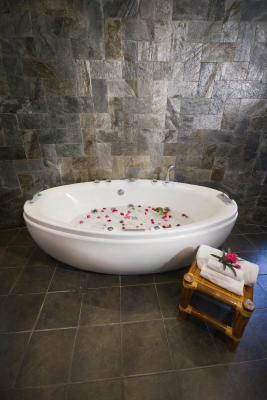 The private bathrooms are equipped with shower while other come with a spa bath. 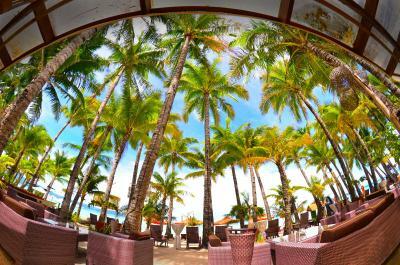 A continental, asian, and halal breakfast is served daily at the property, while international dishes are also available at Al Fresco Bar and Restaurant that is located on the beach. 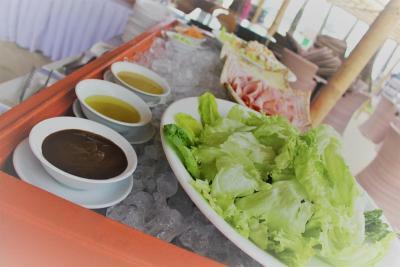 Special diet menu and in-room breakfast may also be arranged. 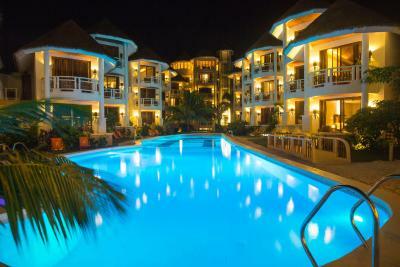 Guests can relax by the pool or enjoy relaxing massages on the beach. 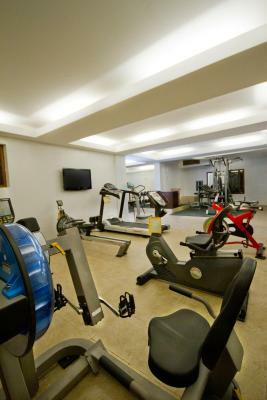 Other recreation options include a fitness center. Windsurfing, diving, and golf may be arranged at an additional cost. 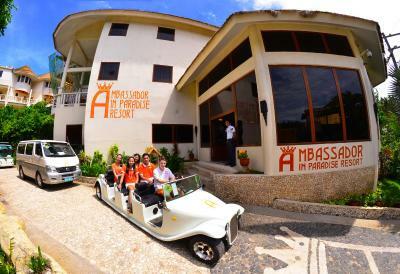 The hotel also offers shuttle service and tour assistance. There is also a business center at the property while airport transfer may be arranged at an extra cost. Willy's Rock Formation is 1,300 feet from the resort while Bulabog Beach is 9-minute drive from the away. 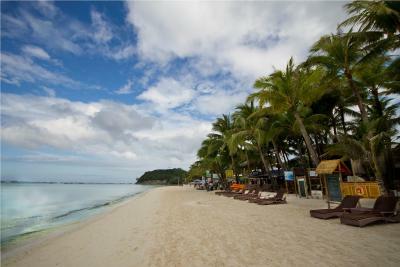 The nearest airport is Caticlan Airport, an hour land and boat transfers from Ambassador In Paradise. 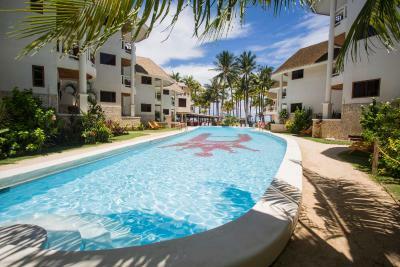 뀐 Located in the top-rated area in Boracay, this property has an excellent location score of 8.9! 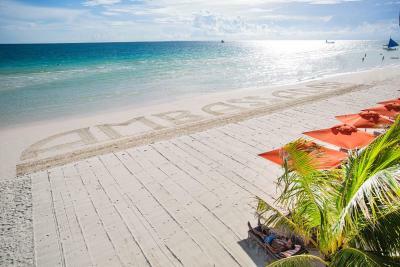 When would you like to stay at Ambassador In Paradise? 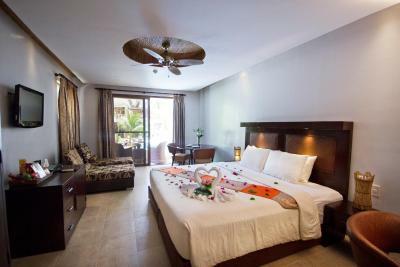 With air conditioning, this room is equipped with a flat-screen cable TV, a working desk, and a seating area. It also comes with a refrigerator, a mini-bar, and an electric kettle. Other in-room amenities include a wardrobe, slippers, and bathrobes. 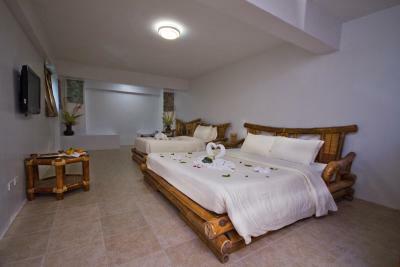 The private bathrooms include with a shower facility and free toiletries. This room offers sea views from its balcony. The unit also has a flat-screen cable TV, a refrigerator with mini-bar, and a a safety deposit box while the private bathroom has free toiletries and a shower facility. Featuring sea views from its balcony, this unit has air conditioning and come with a flat-screen cable TV, a mini-bar, and a refrigerator. The private bathroom has a shower facility with bathrobes, slippers, and free toiletries. The room also has a wardrobe, a working desk, and a safety deposit box. 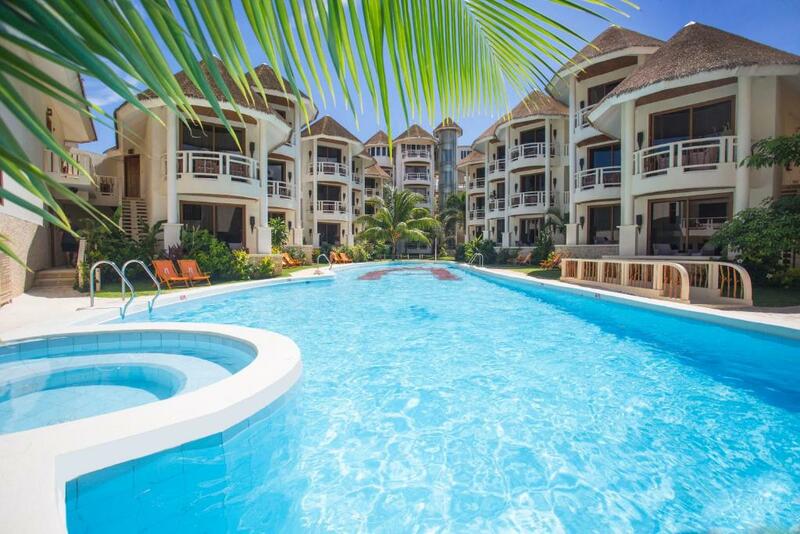 Fitted with air conditioning, this suite has a balcony with views of the pool. 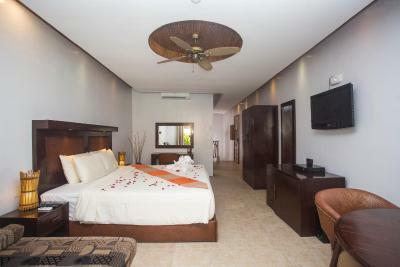 The room comes with a wardrobe, a safety deposit box, and a flat-screen TV with cable channels. 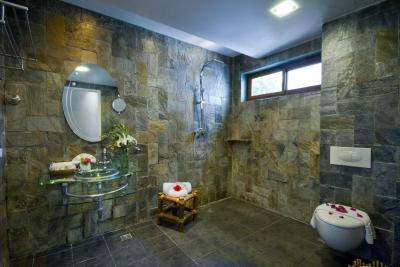 The private bathroom is equipped with shower and free toiletries. Slippers and bathrobes are also included in the room. This air-conditioned family room has a balcony, a flat-screen TV, and a seating area. 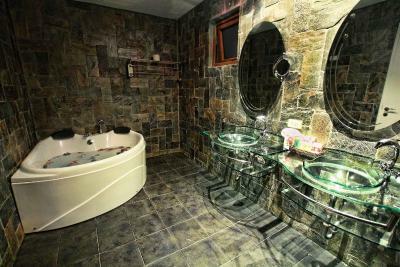 The unit comes with a mini-bar and an electric kettle, while the private bathroom has a bathtub and shower with free toiletries and a hairdryer. 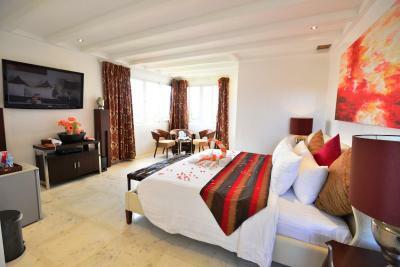 Featuring a private balcony, this room is equipped with air conditioning. 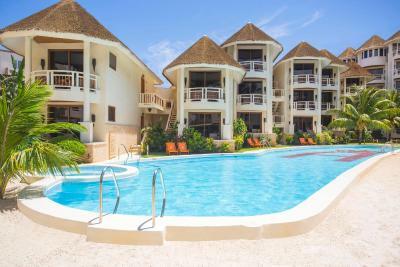 It comes with a flat-screen TV, a refrigerator with mini-bar, and a safety deposit box. 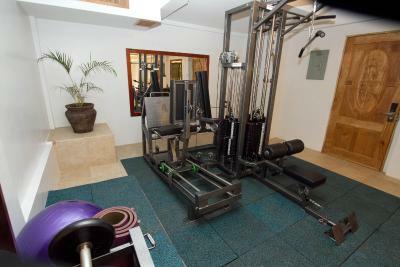 The unit includes an private bathroom a shower facility and free toiletries. A wardrobe and slippers is also included in the room. 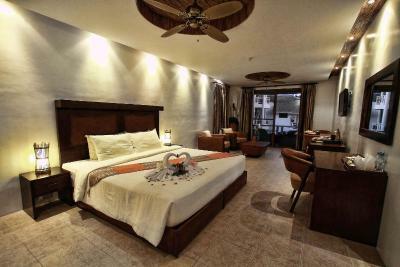 Fitted with a queen and singe beds, this suite comes with a seating area, a flat-screen TV, and an private bathroom with a spa bath. Free toiletries and a hairdryer. Featuring its own terrace, this spacious suite has air conditioning, a safety deposit box, and a wardrobe. 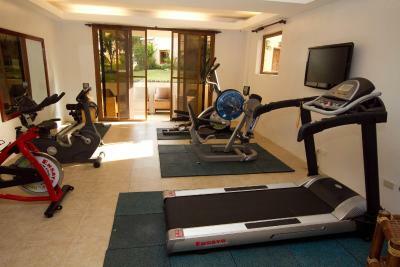 The room is equipped with a flat-screen TV with cable channels, a refrigerator with mini-bar, and an electric kettle. 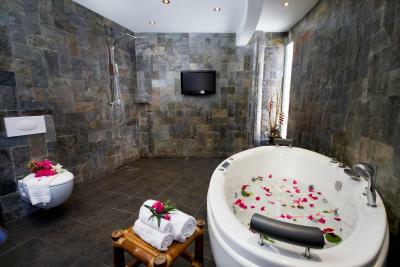 It has an private bathroom with spa bath and free toiletries. Bathrobes, slippers, and a hairdryer is also included. 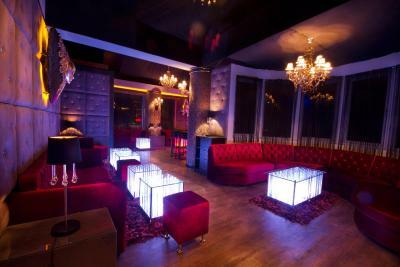 This expansive suite features a dining and a living area with sofa seating and a flat-screen TV. Other in-room amenities include a safety deposit box, a mini-bar, and a refrigerator. 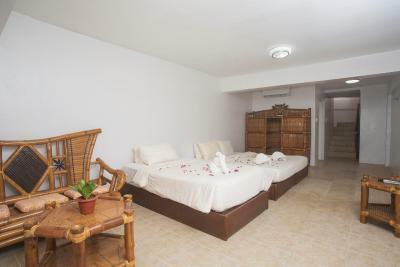 The unit also comes with an private bathroom with spa bath overlooking the sea. Free toiletries, bathrobes, and a hairdryer is also included. 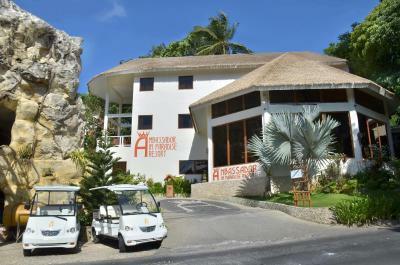 The resort has 60 well-appointed rooms, elegantly designed with fine furnishings and en-suite bathrooms to give their guests high class quality comfort and style, proudly equipped with their environment friendly electric and solar cars made available to the guests to bring them around the island, the use of solar panels for natural energy, and the use of bio fuel and soon the Hydrogen based power generator. 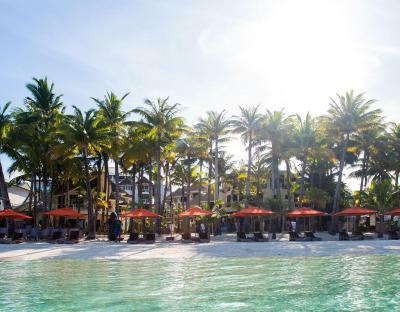 House Rules Ambassador In Paradise takes special requests – add in the next step! 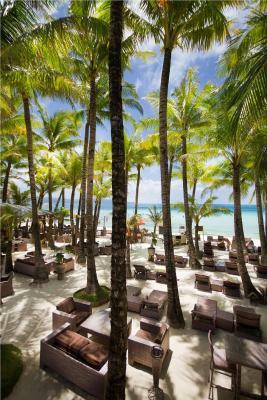 All older children or adults are charged PHP 2200 per person per night for extra beds. 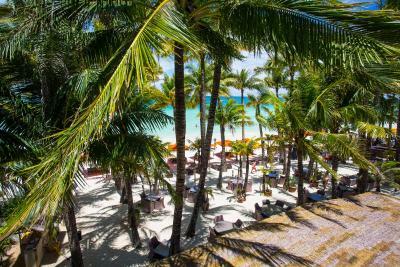 Ambassador In Paradise accepts these cards and reserves the right to temporarily hold an amount prior to arrival. Hotel room and all furnitures very dated. Bathroom was big but empty, could have some partitions to make better use of the big space. Internet connection was bad. Rooms run down. Require refurbishment of bedding. The restroom was so bad: ruined facilities and molds between the tailes and in the toiletries. There were some renovations on our floor, so it was so noisy and smelly that we couldn t even rest in the afternoon. Our room was in front of the ocean. It’s just that it was unfortunate that the jacuzzi broke. The buffet breakfast was nice. It’s enough to fill the stomach. Definitely not a 5 star, or even a 4 star. Room looked like it was furnished from a car boot sale with random items just stuck in it. WiFi was atrocious. There was a roach in the bathroom. 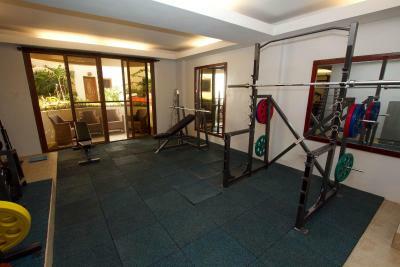 The gym was falsely advertised. Equipment was very old, rusty and dusty. No towels, no water, no staff like you'd expect. Staff appeared to just come in to fill up their buckets in the bathroom. We stayed in an Executive beach view room that was very large and included a large bed that was also very comfortable. The bathroom was also large with modern amenities. Staff were nice and friendly. Location was the best aspect. Right on the beach and much quieter than Station 2 and 3. 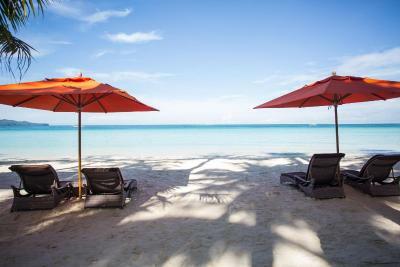 They also provide nice sun beds. This is a good spot just to relax. Nothing! I loved it all!! 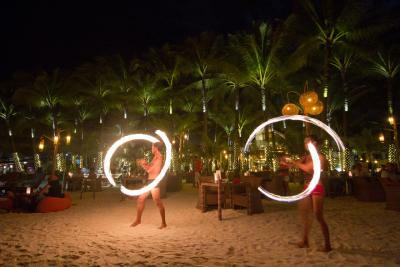 The staff were absolutely incredible and made us feel so special. Excellent customer service and great attention to details. Beautiful side of the island only a ten minute tuk tuk from the main area. Perfect. 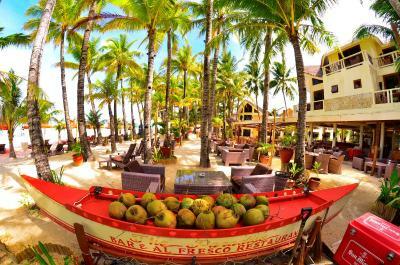 Wonderful location in the best part of Boracay, excellent services. Bathroom a little bit dirty, outdated. 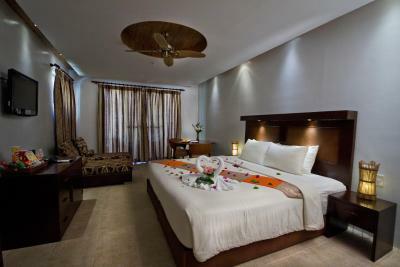 Big room, close to everything,friendly staffs.